We are very proud to announce our new Wellness, Yoga & Windsurf retreat! After two very successful years with our Yoga & Windsurf Clinics full of joy, wind, yoga and improvement we are excited to announce that next year we will also organise a week with more focus on Yoga, SUP, massage therapies, relaxation, meditation but of course also lots of windsurfing besides our well known Yoga & Windsurf Clinic. In the Wellness week there is more focus on yoga, SUP, massage, mindfulness and meditation. 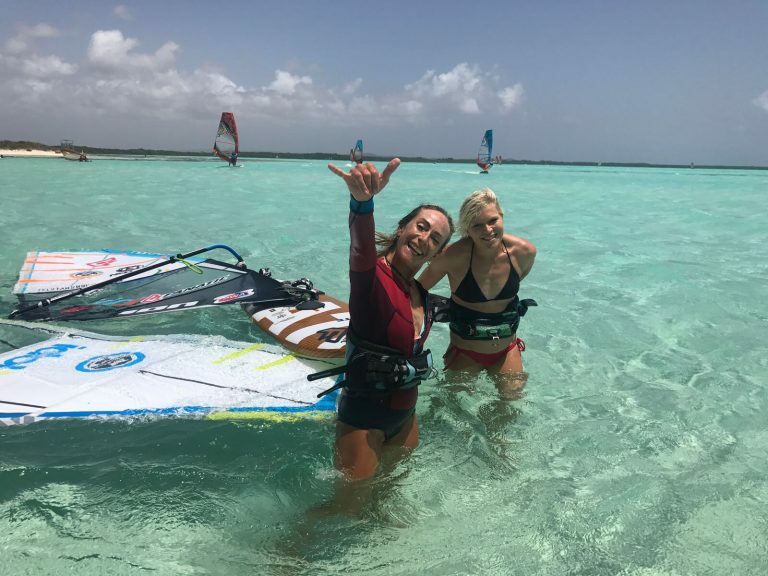 Bonaire, a location well known for delivering some of the world most famous windsurfers, is a place with constant trade winds, amazing crystal clear water and nice shallow lagoon for learning. Half of the island is a nature reservation, which makes it a peaceful and quiet island. Perfect for relaxing your mind and body and becoming in peace again with yourself. 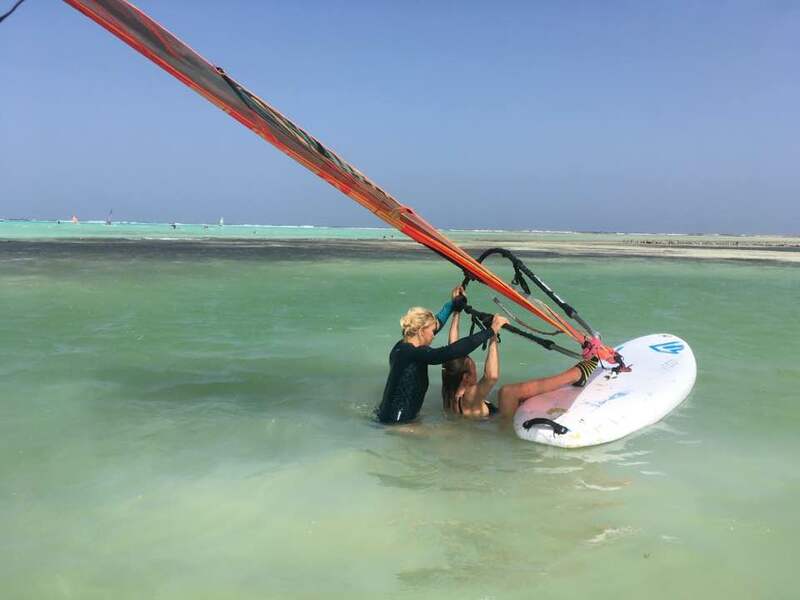 Who: Beginner, intermediate & advanced windsurfers who want to improve their windsurfing and combine it with daily Yoga sessions and who want to combine this with refuelling their mind and body with meditation and relaxation. boat ride to Klein Bonaire with a morning island yoga session, snorkelling and a picnic breakfast. The price is exclusive accommodation and gear rental. For two bookings at the same time you get a 50 euro discount. You will be taught windsurfing by me. I am a professional windsurfer and PWA Vice World Champion Freestyle / Dutch Wave Champion. Besides competing on the World Tour I am also a certified and very experienced windsurf instructor who knows exactly how to teach. So whether you want to crank down those jibes, work on your stance or step up your freestyle to the next level then this is the perfect time to try. Although I want everyone to improve their windsurfing I find it even more important to make sure you feel comfortable and confident in what you are practising, and I love to motivate people. Besides windsurfing I practise a lot of yoga. While windsurfing all year round I realised that yoga helps my body to recover and to perform better. The breathing and mental part of yoga has helped me a lot during competitions to focus and perform better. Ladina is a very experienced yoga teacher, massage therapist and an advanced windsurfer too. She has developed a special yoga program that includes movements, balance and deep stretch exercises which help to improve your performance on the water and to restore your body. During the Wellness week she will offer different yoga styles including nidra yoga, SUP yoga, relaxing yoga, sunset meditation and energising yoga.